With a constantly evolving sound that incorporates electronic music, rock and hip-hop, the GRAMMY-nominated quintet bring raw energy, churning backbeats, and unrestrained exploration to their Motema debut, Anti-Hero. Sixteen years in and the genre-bending electric jazz collective Kneebody is stronger than ever. On the heels of their recent groundbreaking collaboration with electronic musician Daedelus, the band returned to the studio refreshed and armed with a slate of road-tested tunes for their ninth studio album. 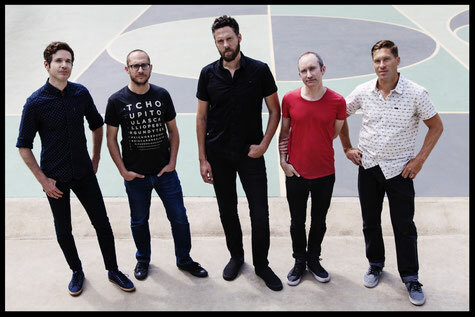 Kneebody makes their Motéma Music with the release of Anti-Hero, the pulsating result of that creative rebirth, featuring an assured set of churning backbeats and unrestrained exploration.